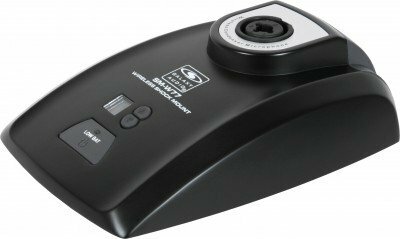 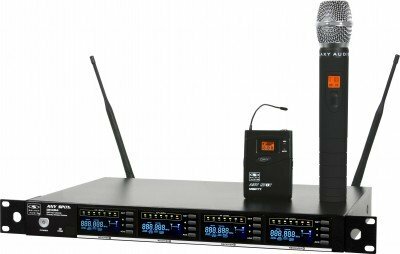 The SM-W77 features 16 selectable channels and operates off of 2 AA batteries. 60Hz - 16kHz, 10m W RF out, SNR 102dB (a), THD < 1%. 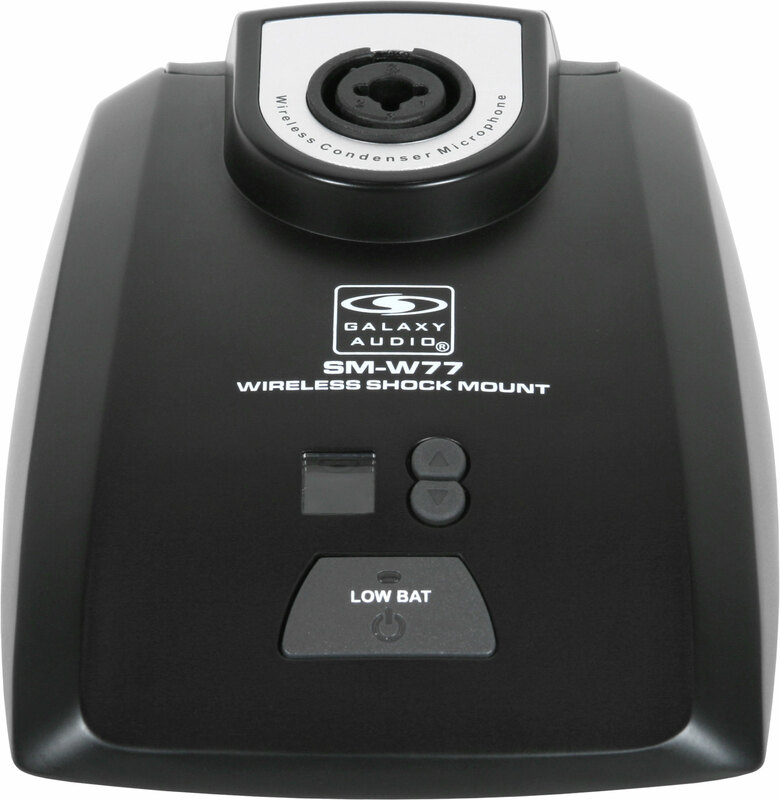 The SM-W77 will work with the DHXR and DHXR4 receivers and will accept any standard XLR type input. 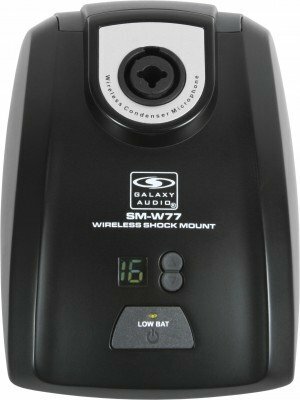 The SM-W77 acts as a shock mount base for a gooseneck microphone.